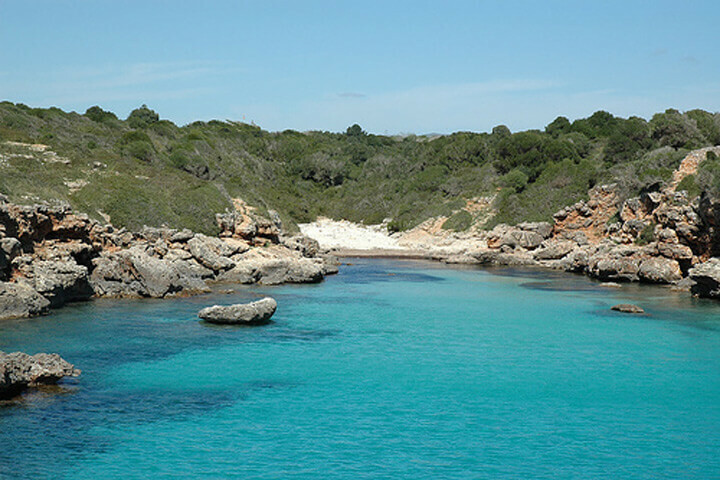 Cala Petita is a small and narrow sand and rocky beach located in Portocristo, Manacor. 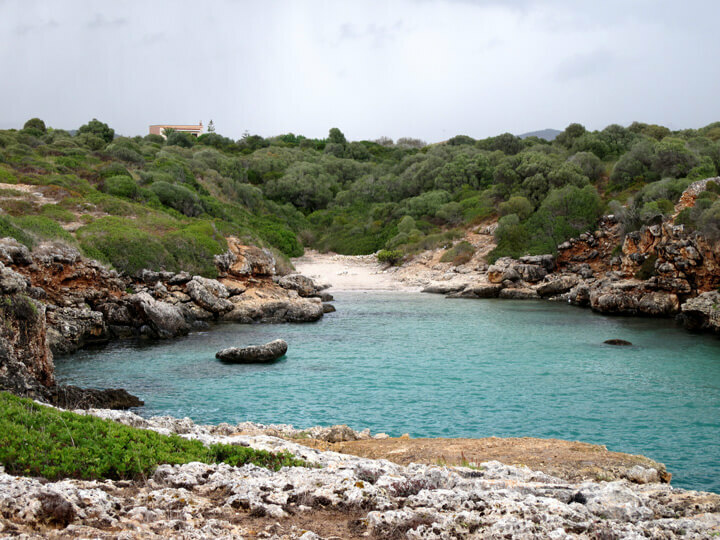 It is an isloted cove formed by a sinuous sea language sourrended by the typical Mediterranean vegetation: pine trees, olive trees, etc. Traditionally this beach is considered nudist. Because of the difficult access on foot to the spot it is considereded to be an exclusive area. Its crystal clear waters are will invite you to go swimming and diving.